Hi! I'm Sara. 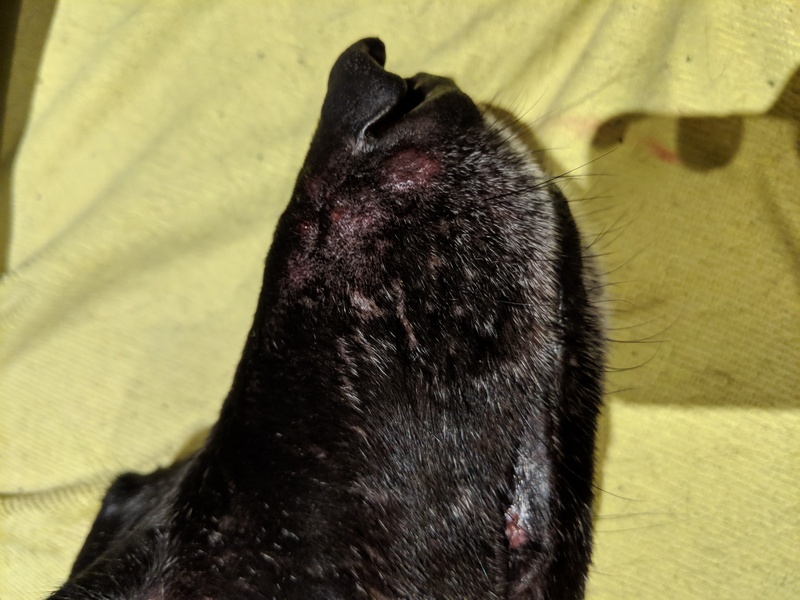 I have a 5 years old lurcher and this morning I found his nose was swollen and had rashes on it. By the evening it got worst. It's clearly painful for him so I'd like to ask your opinion if it could be something that couldn't wait until tomorrow? My husband just reported he's bleeding now. JA: The Expert will know what to do about this bleeding. I'll connect you ASAP. Is there anything else important you think the Veterinarian should know about the dog? I'm sorry to hear of this with your dog, Sara. 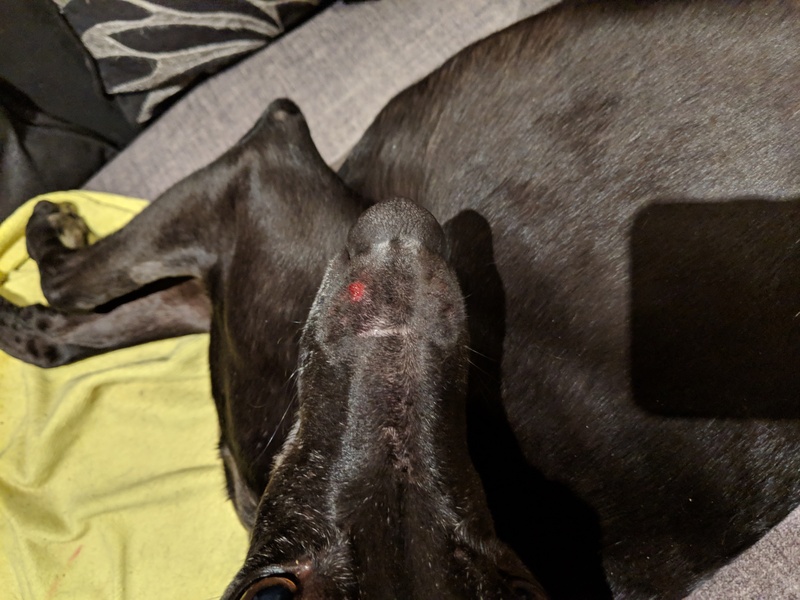 Can you upload a photo(s) of his nose to our conversation? You can upload photos by using the paperclip or add file icon in the toolbar above your message box (if you can see those icons on your particular device) or you can use an external app such as dropbox.com/ Please check that the photo(s) is in focus prior to uploading it. Ouch! I'm curious about what he could have encountered. Had he been outside where he could have been stung multiple times by flying insects or biting ants? These don't appear to be traumatic wounds. He has walks three times a day but we always follow the same path and we hadn't notice that he'd been stung by anything. He like sniffing everything of course but I suspect he'd cry out or jump if something would bite him. Thank you. The photos are excellent. This is an unusual eruption which I suspect to be allergically mediated. To what he would be allergic to, isn't clear - a drug or another chemical, supplement, food, plant? To answer you directly, his skin condition doesn't indicate an ER visit. 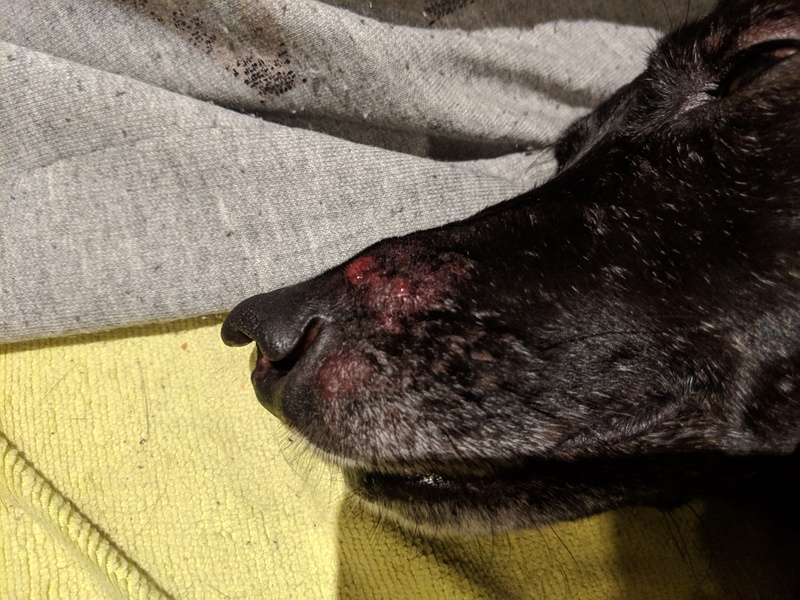 If he'll allow you to do so, gently clean the surface of his snout with an antimicrobial soap/shampoo such as Hibitane and don't apply a topical cream or ointment. Have his vet attend to him in the morning. You're quite welcome. Sweet dreams. I can't set a follow-up in this venue so please return to our conversation - even after rating - with an update at your convenience. You can bookmark this page for ease of return.